Content writing being a mean of expression of an idea to the public via writing is important to an aspiring marketer. A good content writer who is able Content writingto present a creative and persuasive piece of content will gain the attention of the general public, and this will help to promote the brief (goods/services) given by the client. Content writing as defined by Asif (2016) is a form of online writing, closely linked to web marketing campaigns in order to advertise and sell a particular product. A good content writer performs content writing according to the brief provided by a client and must be a great communicator, creative, persuasive in writing and most especially SEO friendly (meaning they should know how well to search the internet for assistance with the brief from the client). 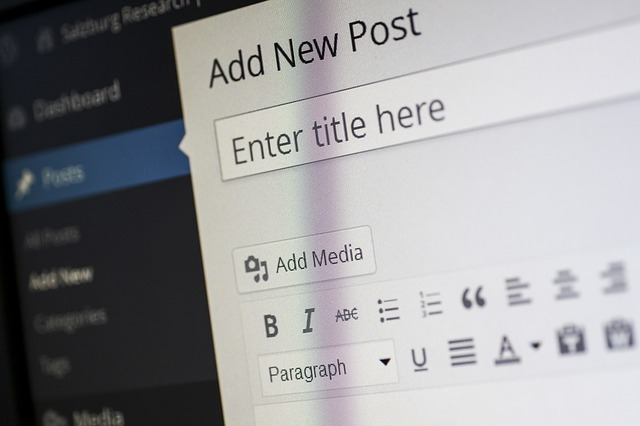 Also, read how to manage your content on your website. For example, the political leaders create awareness via marketing, awareness on a particular spread of disease is done via marketing, a new product in town is made known via marketing, so marketers are required in our everyday activity. You may also like Secrets of professional SEO content writers. Becoming a good marketer starts by becoming a good content writer. For marketing students, there is still more than enough time to be the best marketer you have always desired by learning how to become a good content writer now. 1. Incorporate searchable keywords: Prospective customers scanning the internet search for a particular product/service via keywords. For example, a customer who wants to take a cheap flight to London, he will search for keywords like; a cheap flight to London, a cost-effective flight or a low-fare flight. 2. Write captivating headlines: Upon capturing the presence of an online customer to your content via keywords, the customer first goes through your headlines. If the headlines are not captivating, you are most likely to lose the interest of that customer. For example, ‘10 content writing tips to make you a better marketer’ is more captivating compared to ‘Tips for writing’. 3. Put your most important information first: This is an important tip in content writing, as most online customers only scan through the first paragraph of the content for the big picture. A detailed outline may help portray the big picture to your audience. 4. Present proper researched writing: Customers prefer to work with feasible content rather than abstract content. Statistics, data as well as references should be included in the writing to provide confidence to your readers. For example, your writing claims that ‘30 people died in a car accident’, your reader may not be convinced with your facts and may wish to consult others for validation. The customer may not return if the newly consulted website gives more data concerning the news. 5. Use user-friendly words: There is no need to formulate grammar within your work to impress your readers. Readers mostly scan through the online document and lose interest if they are unable to understand the wordings in the test. For example, use of words like ‘gobbledygook’ in place of ‘jargons’ can lead to a loss of interest by the reader. 6. Content clarity should be top priority: Content clarity is the ease with which the reader is able to understand your test. Creating a well-constructed paragraph for your writing shouldn’t be a top priority, you can create your content on bullet points, Pictures, tables, and charts. For example, listing your points and giving a brief explanation under each listed point is enough for clarity of writing. 7. Present a whole new idea: There are many ideas on your particular topic out there. Extensive research about other competitors should be done, and their loopholes should be capitalized on as the standpoint for your writing. For example, a milk-producing factor needs a content writer, there are many milk-producing factories out there, so for the content to be unique, the content writer needs to make a competitive research on all the milk-producing factories, identify their loopholes, and use it as the basis for the new content. This will lead to the uniqueness of the content and improved marketing. 8. Avoid repetition: A content becomes boring when the reader is taken around the content in a circle. Avoid repeating what has been said in a content. For example, a content writing concerning ‘parts of a fish’; after writing that the eyes of the fish are located on the head, you still move through the content to write the head contains the eye of the fish. This makes a poor content and leads to poor marketing. 9. Proofread and edit your work: Errors in a content writing may lead to total loss of interest in the product/service. Many customers are sensitive to errors, and if spotted, they tend to believe in the immaturity of the service provider, leading to loss of integrity. A good marketer should ensure that his/her content writing is proofread and edited to correct all forms of errors. 10. Make a visual impression: The above nine points will not be complete if your audience is not friendly with your web design. Your web page should be appealing and in correlation to your content. It improves the readability of your content and goes a long way to determine whether the customer will be able to understand quickly the essence of the writing. A visual impression can be enhanced by the font style and size, photographs or videos, and color of the website. A good content writer makes a good marketer, and an aspiring marketer needs to develop the skills required for good content writing. These skills have been outlined in the course of this article and have been tested and trusted by successful marketers. In order to purchase custom content writing from the best expert content writers, with features including content clarity, plagiarism-free papers, and affordable prices, visit AdvancedWriters.com.